We specialize in many genres of photography, including sports photography, photographing such events and groups as CBR Minor Hockey, Paradise Youth Soccer Association, North East Eagles Minor Hockey, Avalon Minor Hockey Association and Mount Pearl Minor Hockey - Initiation teams and Paradise Minor Baseball. I would like to offer Your Association the opportunity to have professional photos taken of its members. All we ask of your association is a schedule of dates and times we can photograph the players, team rosters with names and numbers of players, help us notify parents and players of the photo days and distribute order forms. King’s Photography will complete the process of taking photos with a number of photographers (3 or more) to speed the process along. The turnaround for most associations is approximately 6 weeks, but this will depend on the size of the association and the shooting schedule. 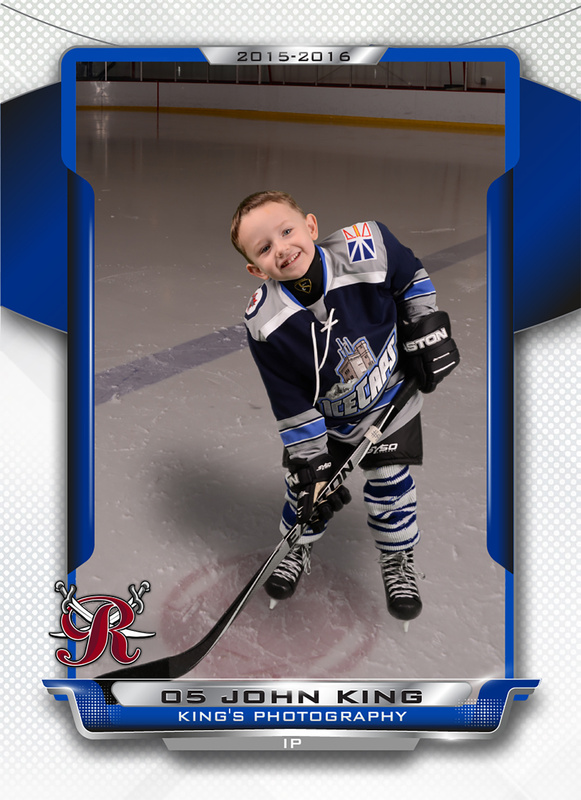 It has been our experience that photos are best taken early in the season so trading cards can be traded among players. We would like to meet with your association to display samples of the products we can offer.